Special Counsel asks federal court to spare Michael Flynn from prison time, citing his “substantial assistance” in Russia investigation. 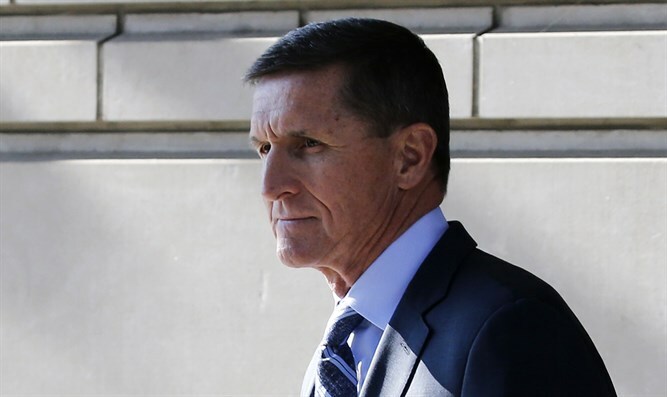 Special Counsel Robert Mueller on Tuesday asked a federal court to spare President Donald Trump's former national security adviser Michael Flynn from prison time, citing his “substantial assistance” in the Russia investigation and other ongoing probes, The Hill reports. In a court filing, Mueller said it would be “appropriate” for the judge to impose a sentence for Flynn that does not include prison time. Federal sentencing guidelines called for Flynn to be sentenced to between zero and six months in prison and face up to a $9,500 fine. The sentencing memo filed by Mueller’s team of prosecutors comes a year after Flynn agreed to plead guilty and cooperate. Flynn, who admitted lying to FBI agents, was the first official to hold a formal office in the Trump administration to be brought down by the Mueller probe, which is examining potential ties between the campaign and Moscow during the 2016 campaign. There was broad speculation ahead of Tuesday’s filing that Mueller might reveal significant information about the extent of Flynn’s cooperation in the investigation into whether the Trump campaign coordinated with Russia in its election interference effort. Flynn has been widely viewed from the start as a key witness for Mueller as the special counsel looks to probe whether there was collusion between the campaign and Moscow. Flynn had previously offered to testify before the Senate and House intelligence committees — which are both investigating Russian interference in the election — in exchange for immunity, but neither committee had accepted the offer.